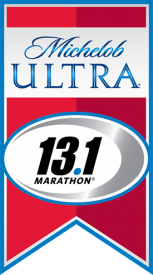 WHAT: The 2014 Michelob ULTRA Dallas 13.1 Marathon®, produced by Life Time – The Healthy Way of Life Company, will take place Saturday, Oct. 25, 2014. * MEDIA NOTE: For on-site media credentials, please contact Lauren Hartung at 952-229-7776 or lhartung@lifetimefitness.com. As The Healthy Way of Life Company, Life Time Fitness (NYSE:LTM) helps organizations, communities and individuals achieve their total health objectives, athletic aspirations and fitness goals by engaging in their areas of interest – or discovering new passions – both inside and outside of Life Time’s distinctive and large sports, professional fitness, family recreation and spa destinations, most of which operate 24 hours a day, seven days a week. The Company’s Healthy Way of Life approach enables customers to achieve this by providing the best programs, people and places of uncompromising quality and value. As of September 25, 2014, the Company operated 112 centers under the LIFE TIME FITNESS® and LIFE TIME ATHLETIC® brands in the United States and Canada. Additional information about Life Time centers, programs and services is available at lifetimefitness.com.